I love how these workouts are only 10 minutes. I'm able to squeeze them in while my little one is napping. They work! I've been doing these for a month and I can definitely see and feel the difference. Because there are three workouts, there's variety and it doesn't feel boring. I've always had a flabby belly, but after doing these workouts I've noticed it's slimmed down. I'm hooked! 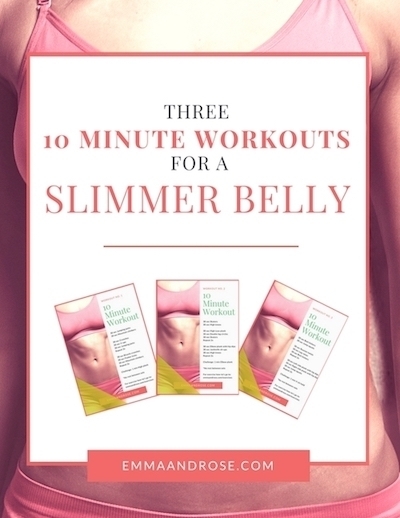 Three 10 minute workout plans to help you slim down your belly bulge. © Copyright 2019 Emma & Rose. All rights reserved.